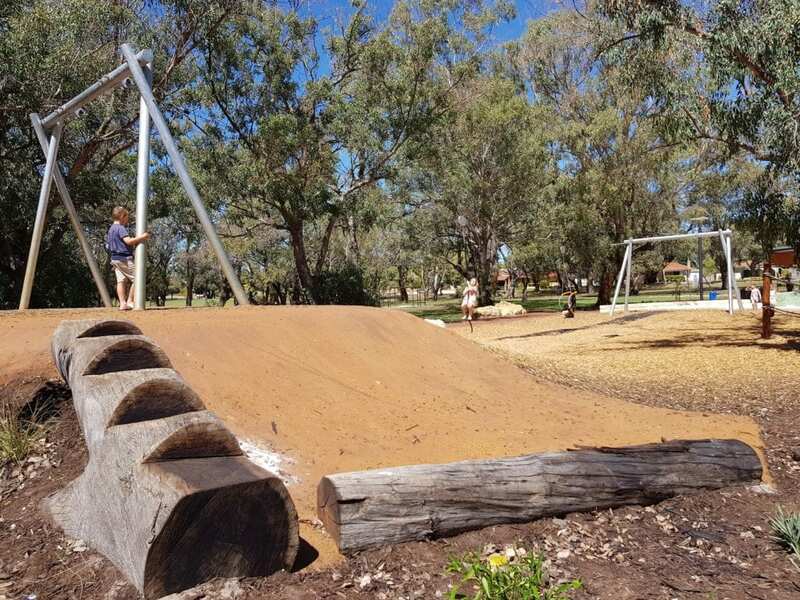 Nestled amongst trees at Mary Crescent Reserve in Eden Hill is a brand new playground (Feb 2019). 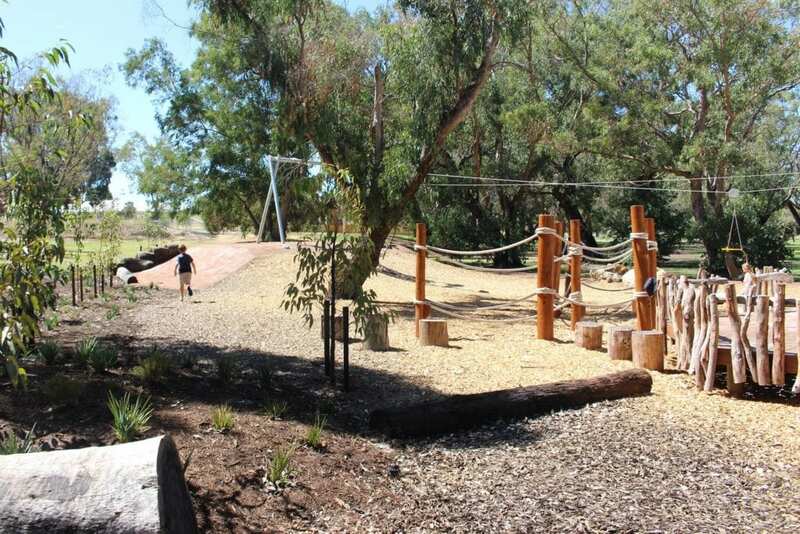 It is a small, but lovely nature playground that features a fun flying fox! 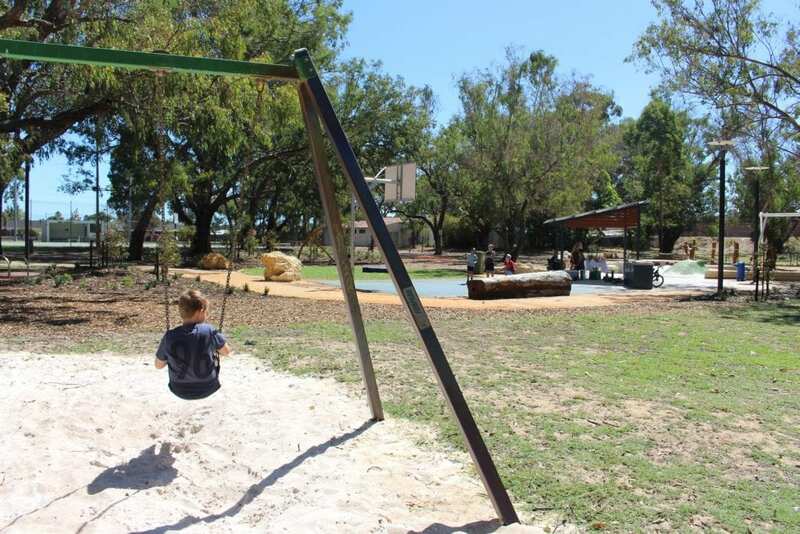 The play area has been designed for kids of all ages, with equipment that appeals to primary school aged kids, as well as little ones. 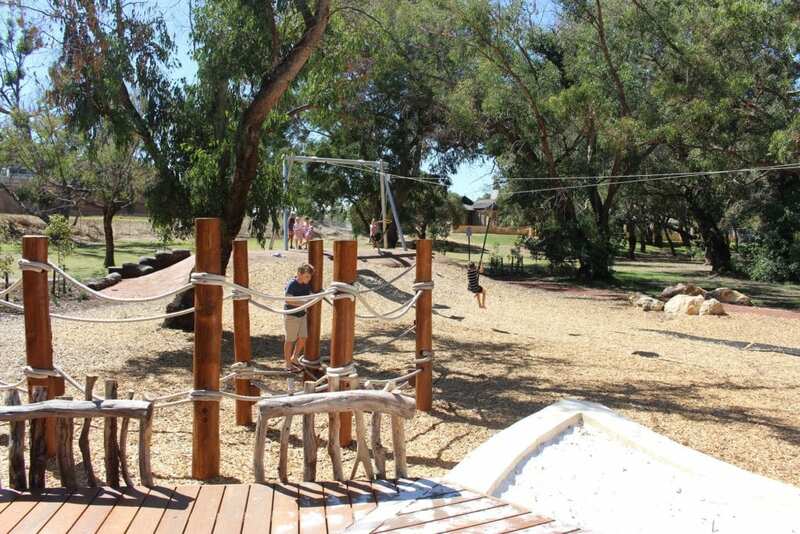 What all kids will go running to is the flying foxes, perfect for racing friends! One of the flying foxes has a “chair” for younger children and those less physically able. Be sure to take along a bucket and spade for a little sand play in the huge sandpit, which also has a large soft fall frog peeking out of! Little chef liked monkeying around on the climbing ropes. 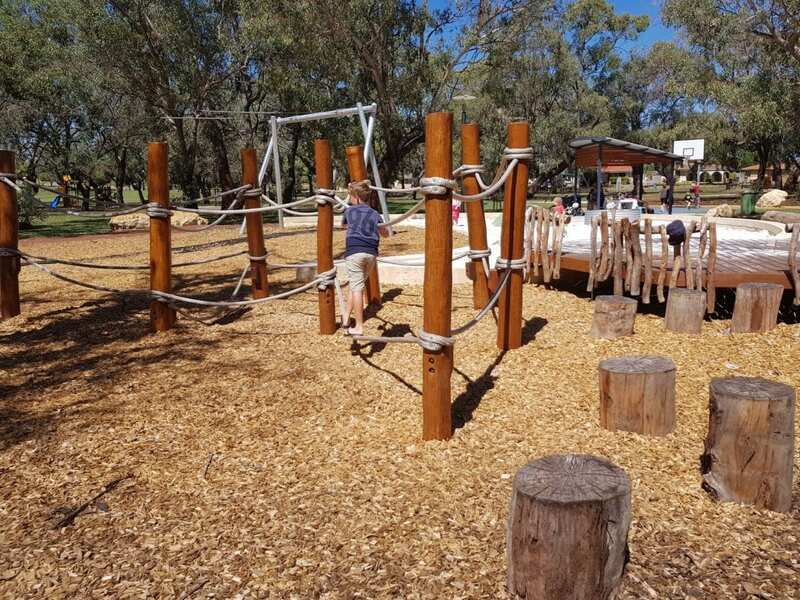 The playground also has a nature play element, with a wooden tree trunk obstacle course, with logs to balance on and stepping logs too. 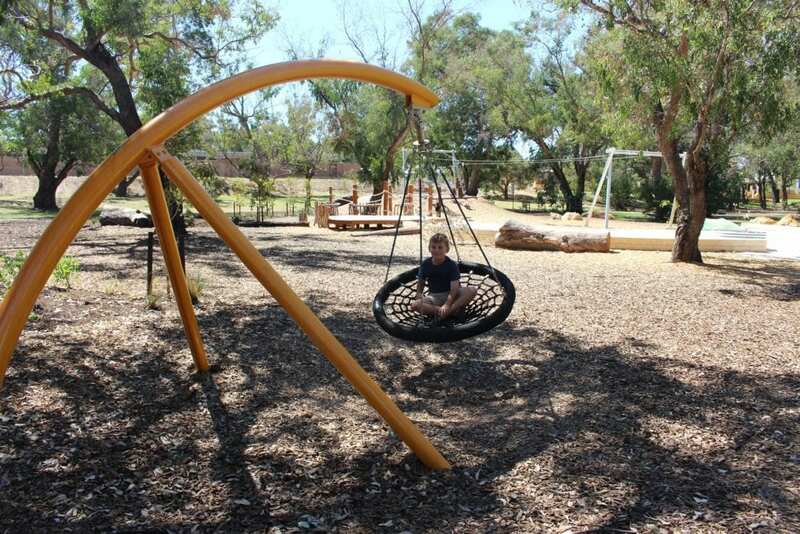 A nest swing easily fits a couple of kids, to swing away, whilst looking up at the trees. And no playground would be complete without a swing set! Here there’s a regular swing as well as a baby swing seat. 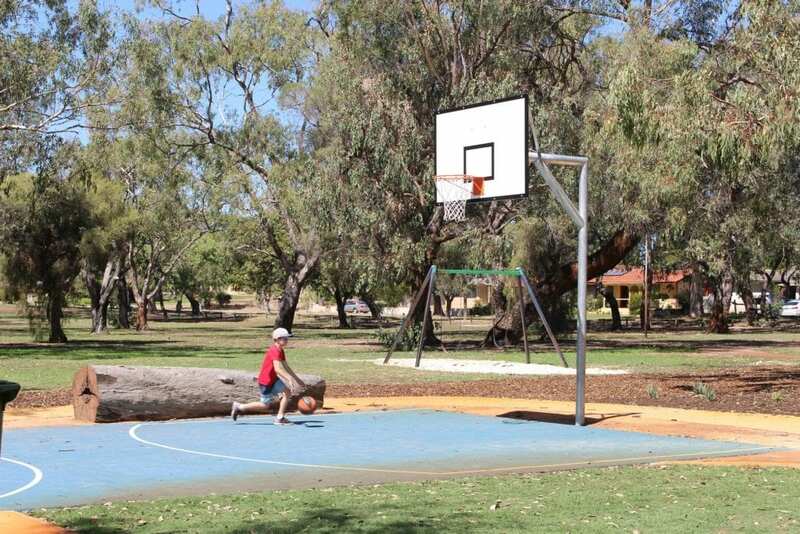 If you have any little Wildcats fans, take along a basketball to play a game on the half basketball court. Large, mature tree shades some of the equipment. 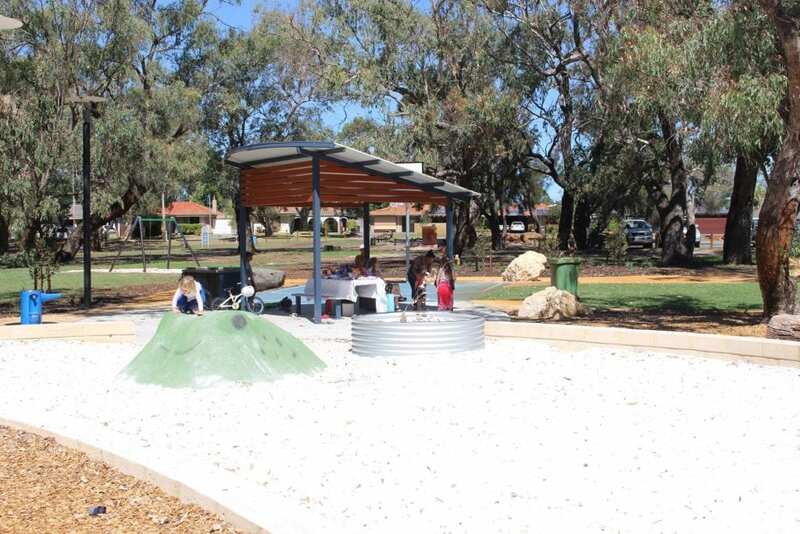 There is also a shaded seating area, water fountain and BBQ facilities next to the playground, making it a good spot for a small gathering or birthday party. There is a large grassed area too, with plenty of space to run around or kick a ball. 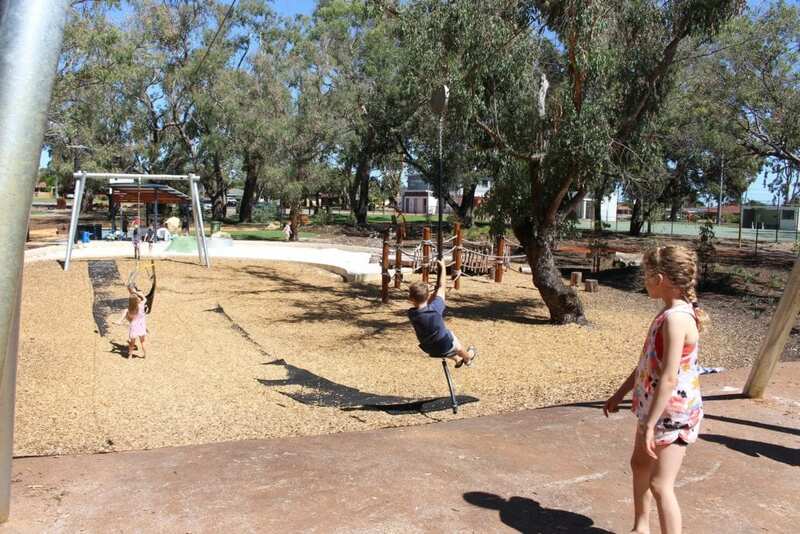 The original metal play equipment is also still at the park, as well as a small metal flying fox. We didn’t get too close to these as some of the trees nearby had be hives in. Luckily, they were clearly signed. 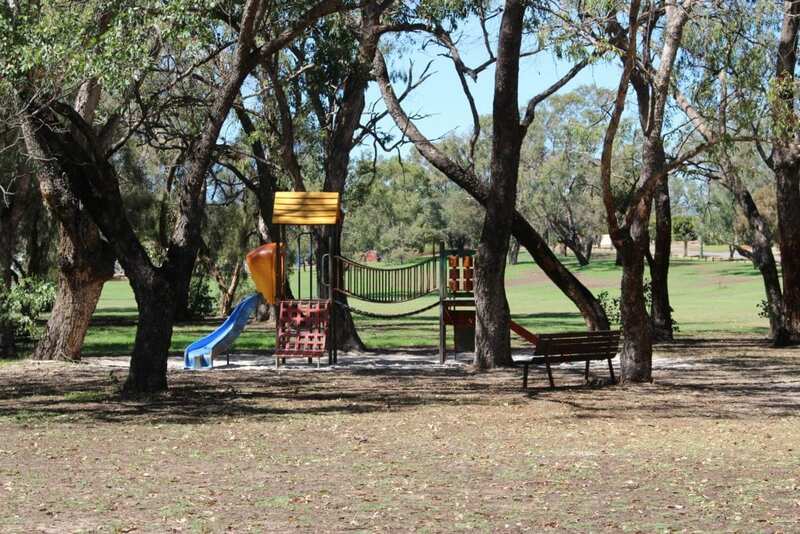 Head to the new Mary Crescent Reserve for some flying fox fun and a picnic under a big gum tree! 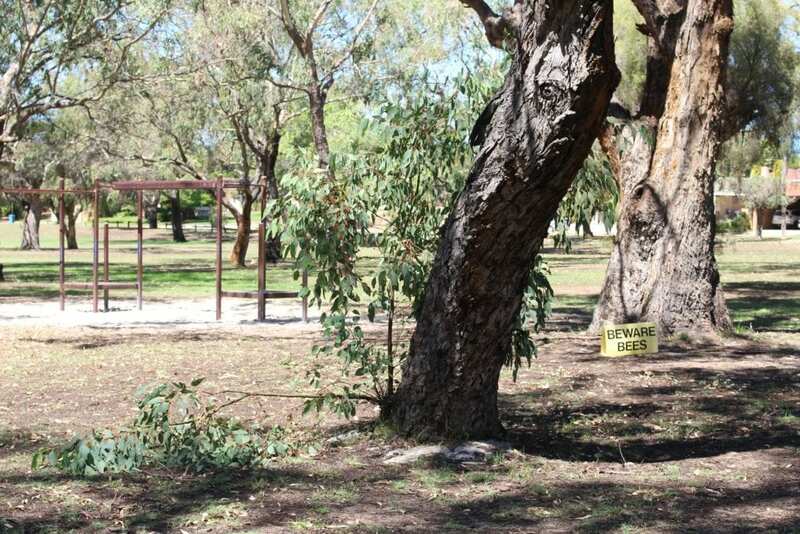 Find Mary Crescent Reserve at Mary Crescent, Eden Hill.